Xiaomi had been making a lot of buzz about their CES presence this 2017. While they had been talking a lot about it for quiet awhile, the final show was nothing extraordinary. Even though they did announced some new gadgets but that ended up only for in China. Even so, they do turn out to be some great devices, one being the Mi TV 4. Xiaomi in their CES 2017 event announced the fourth iteration of MiTV 4. One of the very few devices which Xiaomi manufactures by themselves, MiTV, did become very popular over the years. It’s competitive pricing, specs and new modular design are what always stole the show. Neverthless that was the case here in CES as well. 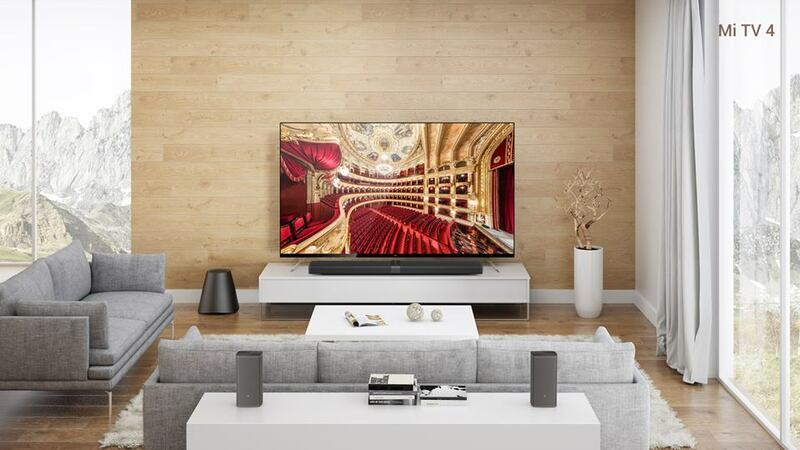 Xiaomi announced three different Mi TV4 in 49”, 55” and 65” display sizes. What really is amazing about them is the new virtually frameless display which sits in a 4.9mm thick body. Thanks to Xiaomi’s over an year old modular design the core part of the smart TV is fully separated in an upgraded MiTV Bar. This time, the Bar comes with 8 Speakers internally with HDR support, PatchWall AI and Dolby ATMOS support too. What this means is not only the the consumers of this TV will be able to enjoy a surround sound system but they would be fully immersive and 3 Dimensional. The system will keep on learning from the users and keep on suggesting contents to fulfill the minds and enjoy the latest games of Android all from one place. Xiaomi also included a fully transparent stand for the TV just in case the users doesn’t’ want to mount it but still feels like the need to have that immersive feel. The device will be on sale in China for under $2000 which will include the latest MiTV Bar with Subwoofer and Two Satellite Speakers. There will be another version with the standard MiTV Bar which will be sold for just under $1500. The price of 49” and 55” was not disclosed at the event. Not that it matters now since it will only be available in China but we hope Xiaomi will soon make it available globally. Features, not Fortune. Samsung Galaxy A phones unveiled.